Hello fellow crafters! Stacy Koo here on the Simple Stories blog today and I am using the gorgeous The Reset Girl collection in 2 of my layouts! I was drawn to this collection pretty much! 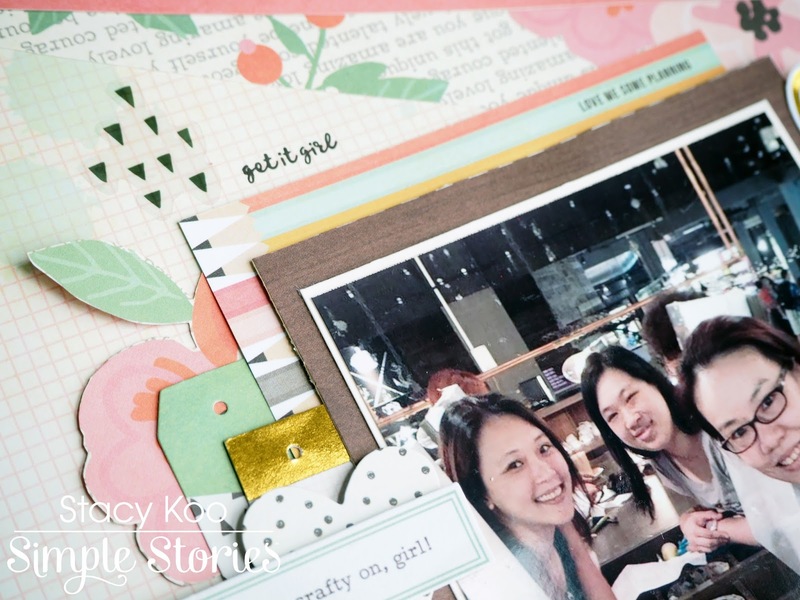 It is currently used in the layout of my journals and organizers. 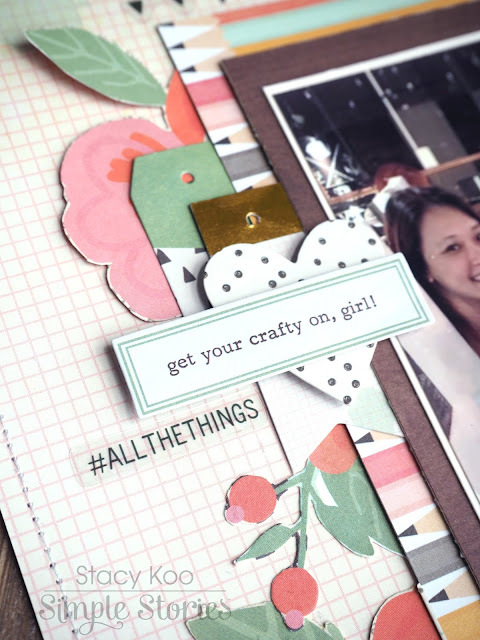 Being a crafty soul, I can totally relate to all of the sentiments and images in this collection! 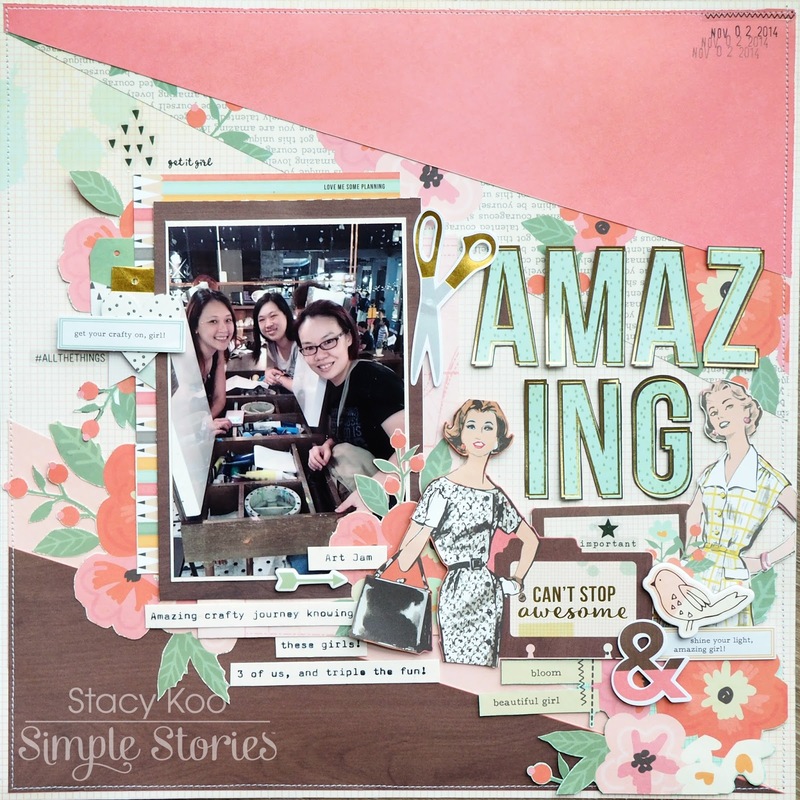 When I first laid hands on this collection, some of the elements have already inspired the idea of these 2 layouts. It seems to me that I didn’t have to think twice! Sometimes I let the paper do the work, and I go through that particular inspiration to come up with a layout. 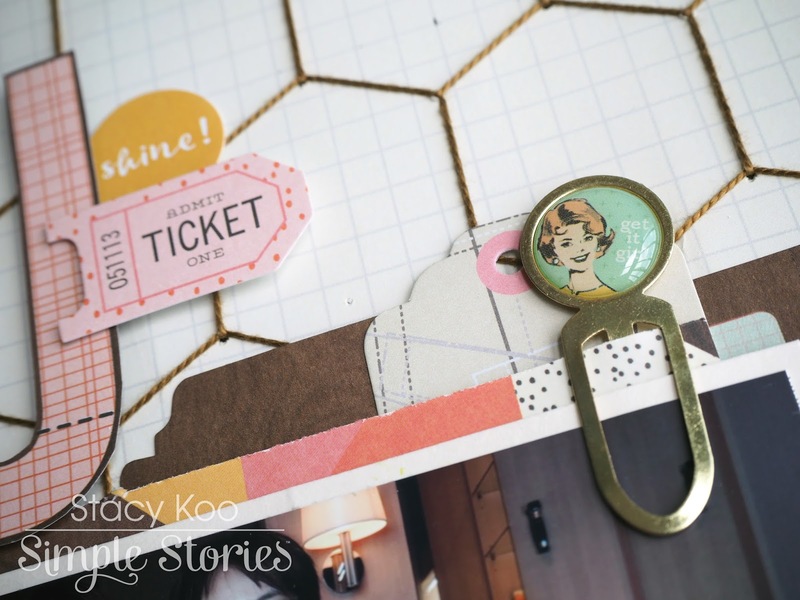 For my first layout, I was inspired by 2 things: the hexagons which you find in the bits & pieces pack, and the lady with wide open arms in the 4x6 Horizontal Elements. For the background, I used a pattern paper from the Sn@p Basics collection. Basic collections like these help me emphasize on the hexagon sewing techniques and showcasing the other decorative elements clearly. I hoard a few packs of these basic collections, because I always get to use them in a project or another! Here is a closer look at the stitching with some DMC thread and the title. 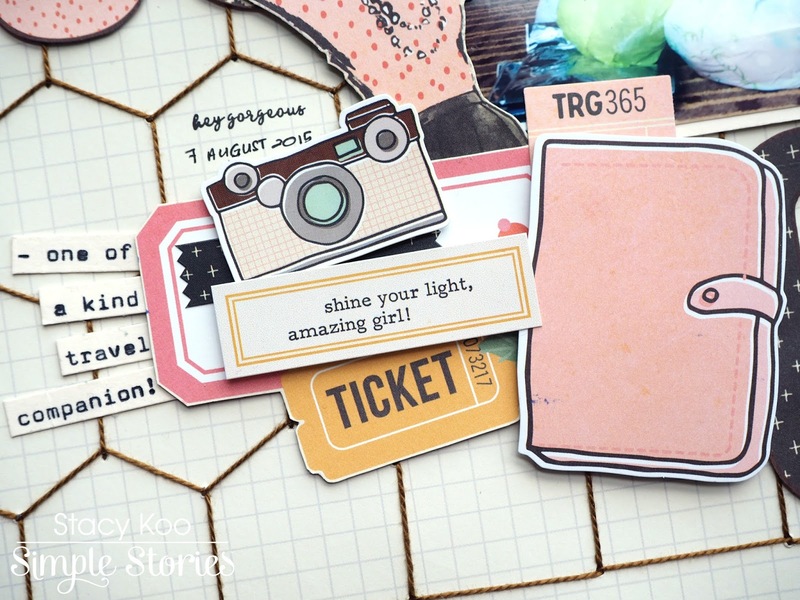 I have also done some fussy cuttings from The Reset Girl collection – 2x12, 4x12, 6x12 elements I find that the words “You Go Girl” fits the idea of travelling. In this photo, I went to Thailand with one of my best crafty pals and the entire trip was a blast! 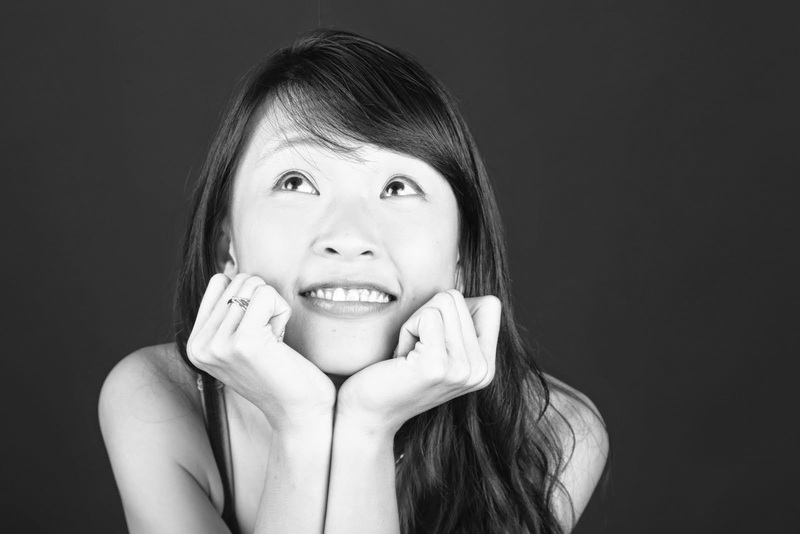 As you can see, I am in love with how the 4x6 Horizontal Elements co-relates to the photograph! Sometimes the inspiration just comes to you and I love how easy it was to fix my mind to all the pretty elements in the pack. Fussy cutting images also help me to utilize the pattern papers in different ways! The other cluster of embellishments all specify a single theme – travel. This collection is super versatile. I like how the elements fitted together - the organizer / passport, travel tickets, flight tickets, camera – they remind me of every single moment during this trip! I like how this collection comes with the small and big pieces! It gives me so much more possibilities! In addition, I added a stamp just above the date of the travel. Yes you heard me right, there is a roller stamp in this collection and you must have this! On to the next part of the embellishments, I added a single chipboard decoration. Because it shines in perfect harmony to my travel theme, there isn’t a need for more! 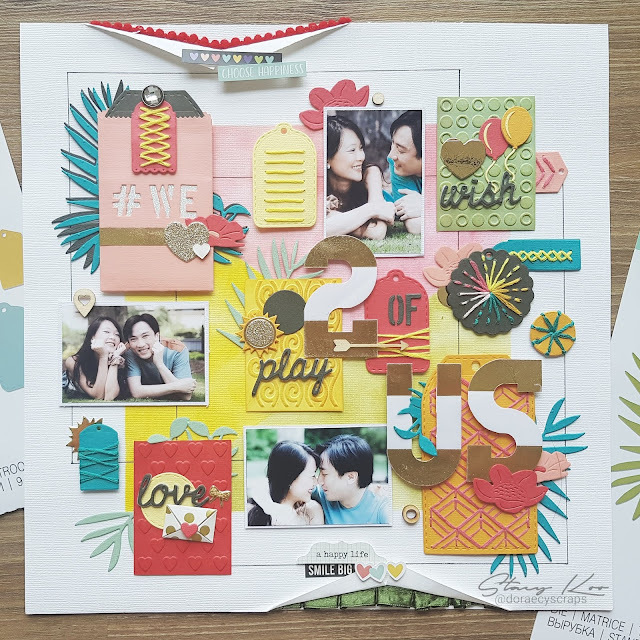 Just pack it up with some layers below from the bits & pieces pack! I love how the words shine in the light! 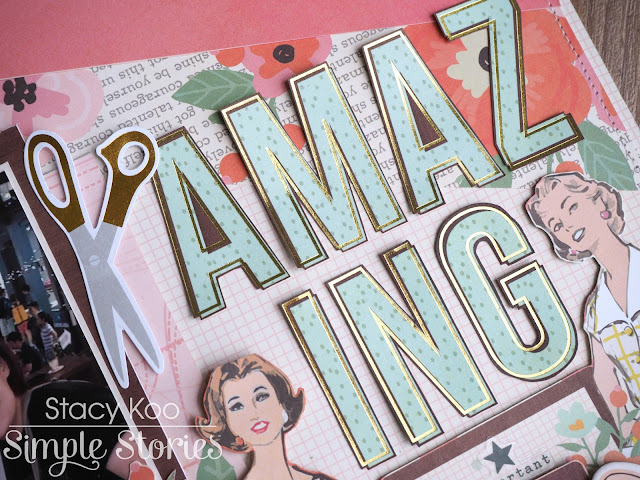 Another embellishment I love is the using of clips! This clip is a total blast – I love the gold rims highlighting the rounded jewel. 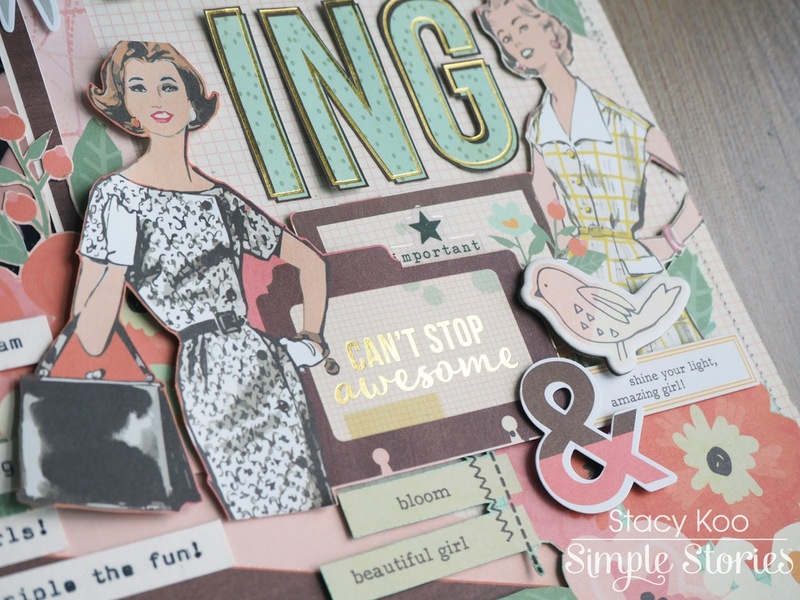 On the second layout, I was inspired by some of the pattern papers in the collection: Like A Boss and 24Seven pattern papers. With the photograph on hand, it was easy to find these inspirations from the collection. 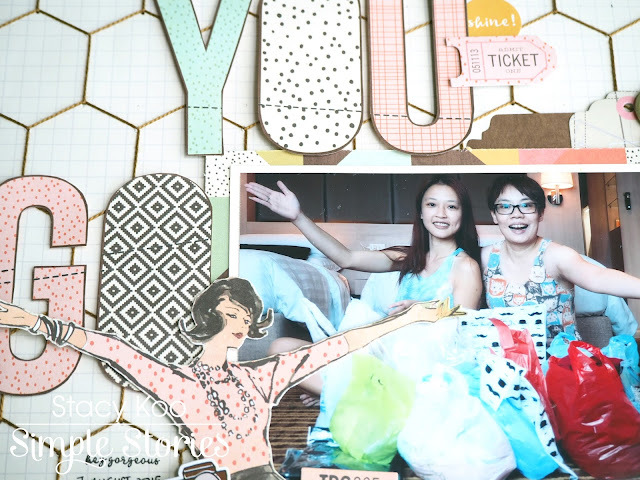 My best crafty pals give me the best reset when days are tough, through the creative process we go through together! I started by cutting the pattern paper Like A Boss into its individual triangular pieces and layered it as the background. Then I did some machine sewing all around the layout to define this piece. I like to use sewing as a frame to capture attention to the center of this piece. The next part started with layering. I like to layer the pieces near my photo to create attention. 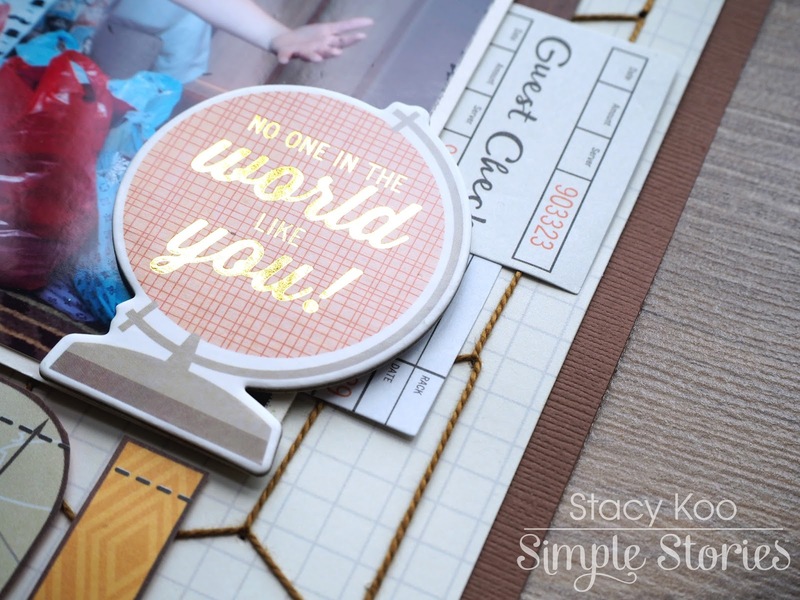 It is really easy to find the piece you need from the bits & pieces pack and then top it up with the journal stickers from the Combo Sticker. I have also added some clear stickers to my layout. These clear stickers are so cool! You don’t have to be afraid that the background will interfere with the colors and arrangement of your elements since the backgrounds is clear! The fun part – it comes with cute hashtags! Another close up on the clear stickers and a cute little stamp sentiment from the roller stamp! The other part of embellishment comes from fussy cuttings. There are so many gorgeous things you can use in this collection, especially with the shiny elements! Last but not least, the fussy cut from the 24Seven pattern paper! I had to use this piece, the gold trims really stands out and it best fits what I think of my crafty pals! You girls are truly amazing! Hope you liked these layouts that I have shared with you today!